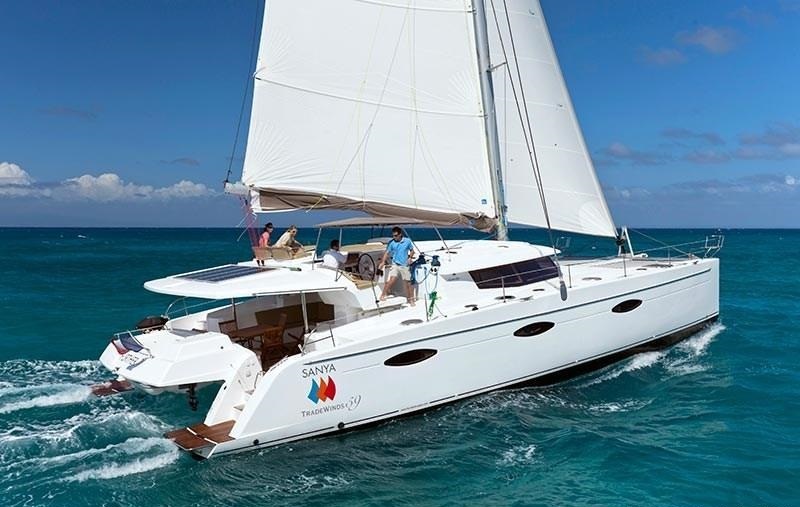 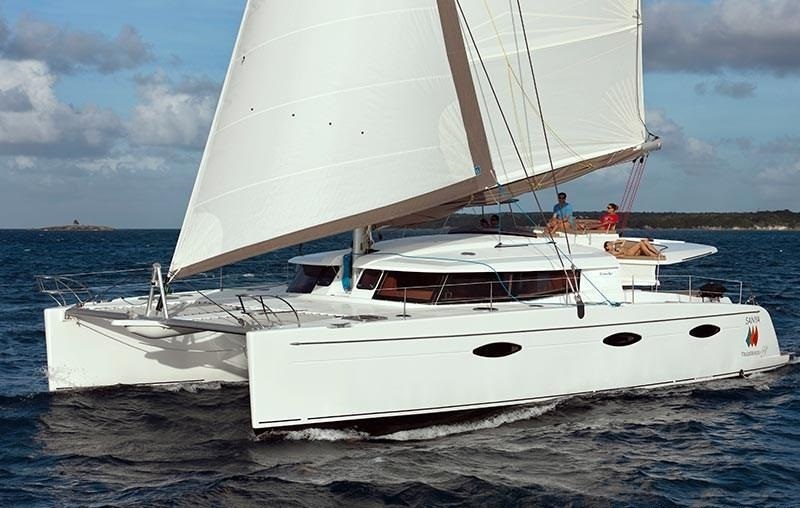 Sailing catamaran FLOW was built by well renowned Fountaine Pajot in 2012 and measures 17.9m (59ft) in length. 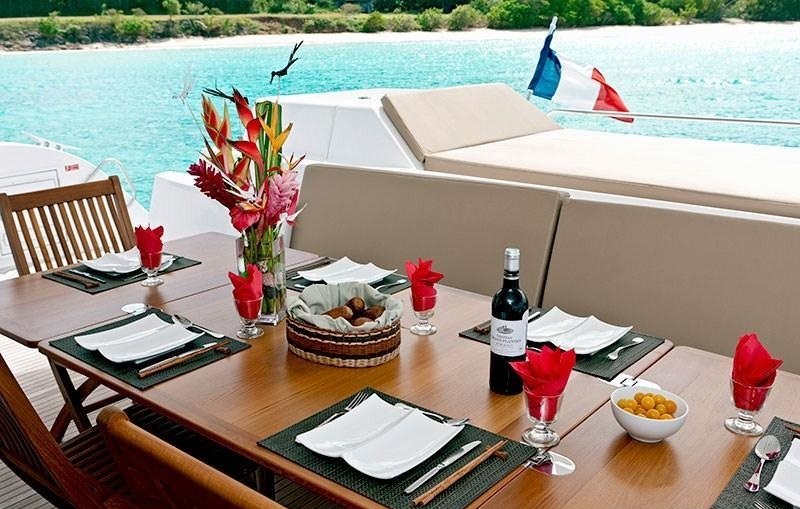 Crewed charter yacht FLOW offers 5 cabins, each with queen size beds and en-suite facilities. 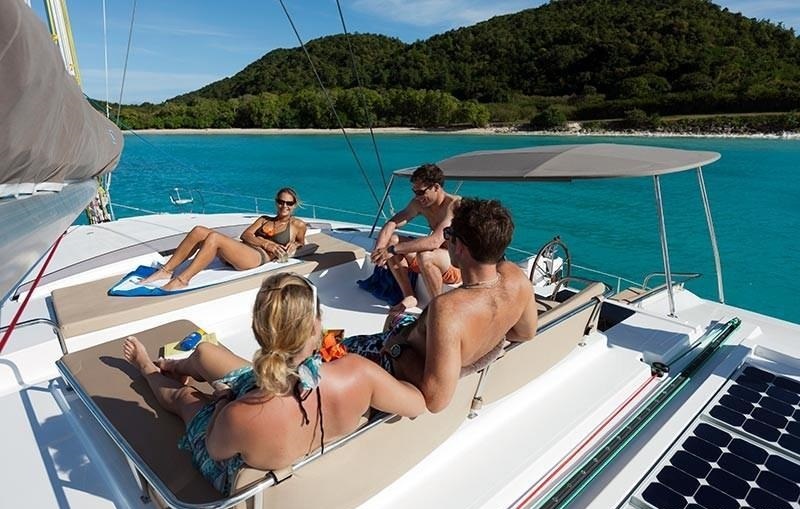 S/Y FLOW is available for charter year round in the Caribbean and is the perfect choice for groups of friends and families alike. 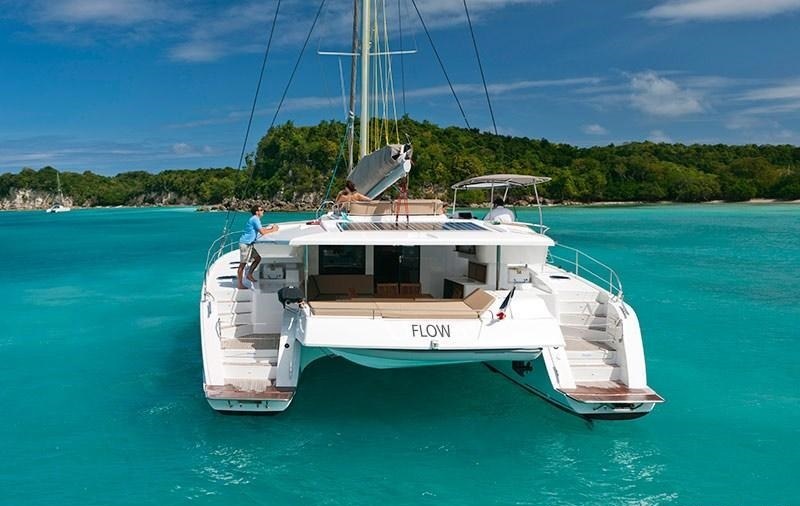 Catamaran FLOW has an elegant tasteful décor, featuring rich dark wood floors, warm oak joinery, cream headlining and fawn toned soft furnishings. 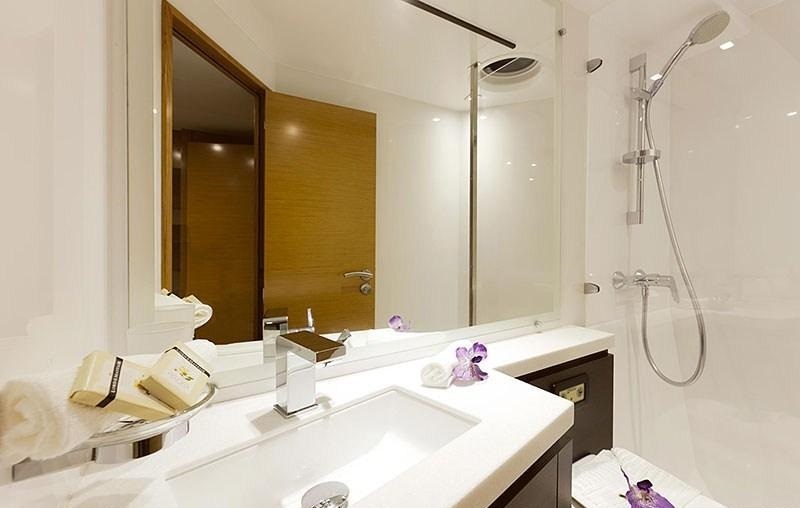 Detailing such as the stainless steel appliances, ceramic topped counters and subtle overhead lighting, create a soothing contemporary ambiance. 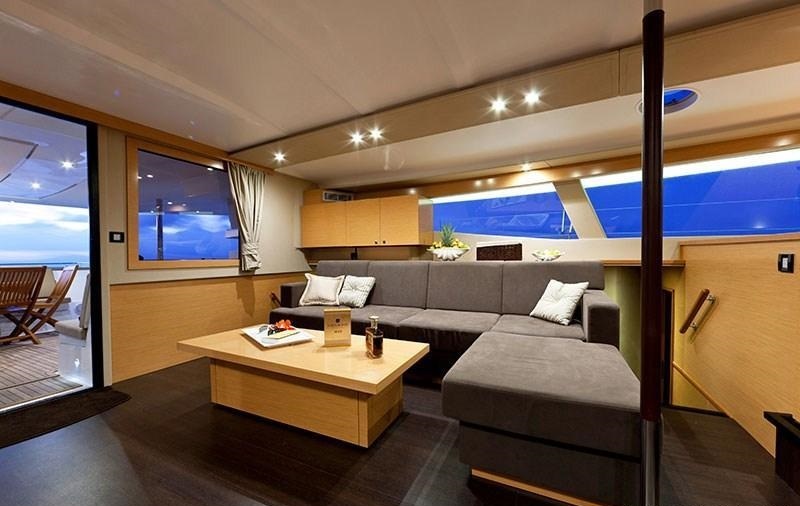 The salon has a spacious airy feel, featuring a comfortable lounge on the port side, with coffee table, open style galley to starboard, and navigation station forward. 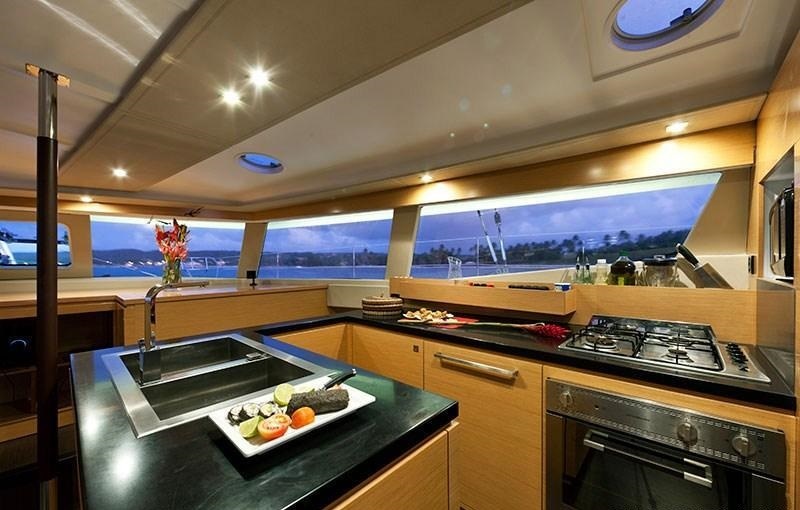 Surrounding windows allow ample natural light, while providing unrivaled views. 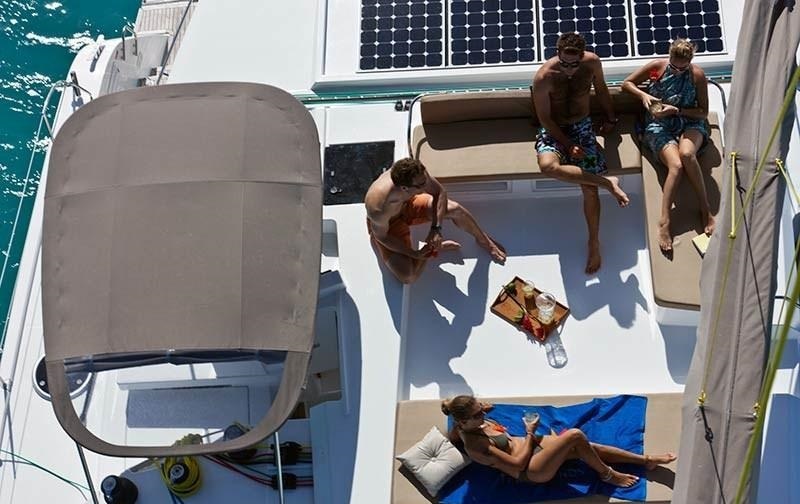 The FLOW yacht has a beam of 9.1m (30ft), giving the yacht plenty of exterior living space to soak up the sun, relax in the shade and enjoy the Caribbean weather. 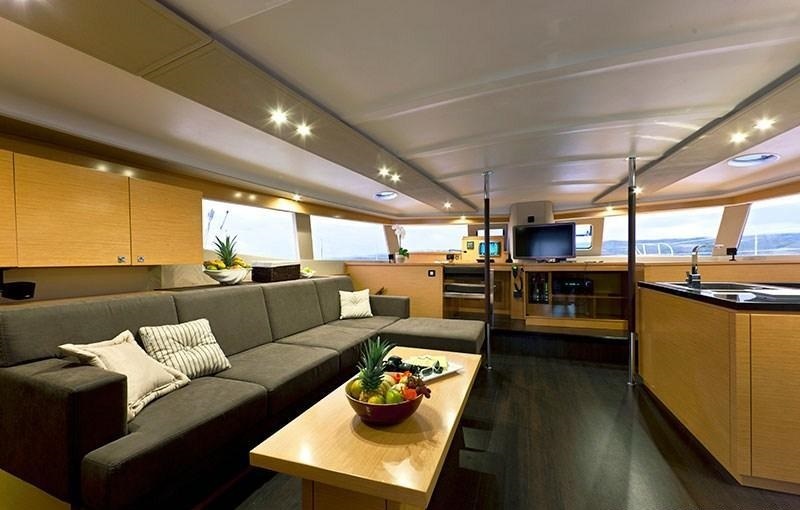 Adjacent to the salon, is the generous cockpit, complete with shade, seating, wet bar, aft sunpad and alfresco dining. 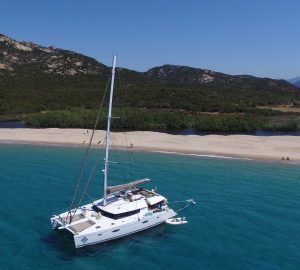 Further aft, the large dual transoms allow for effortless water access, perfect to make the most of the sea toys on offer. 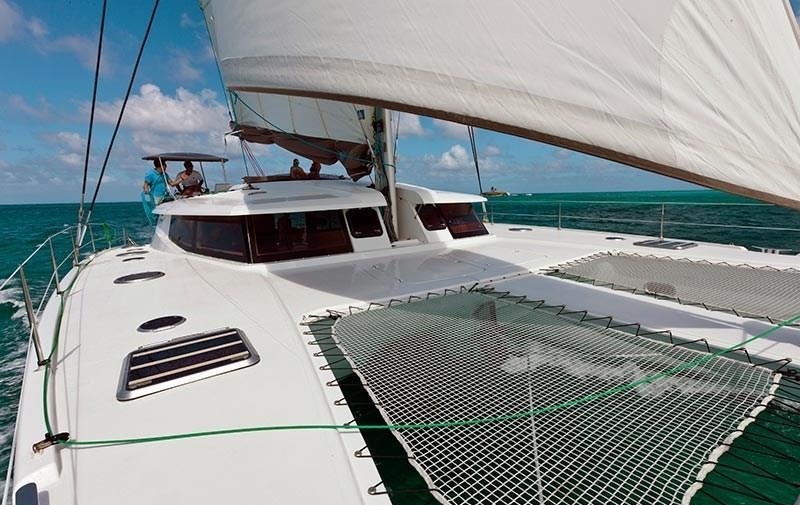 If sunning is your preference, the bow boasts 2 large safety trampolines. 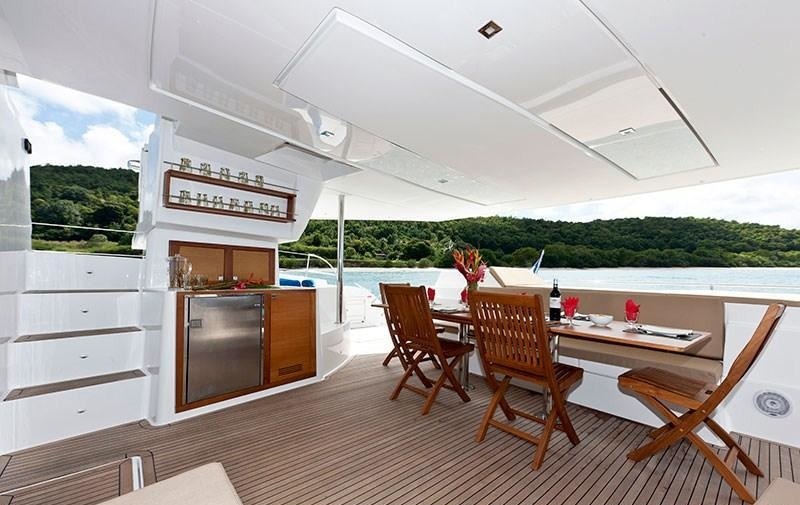 Above the main deck, crewed charter yacht FLOW offers a spacious flybridge, with additional sunpads and seating, a fabulous place to enjoy a cool sundowner. 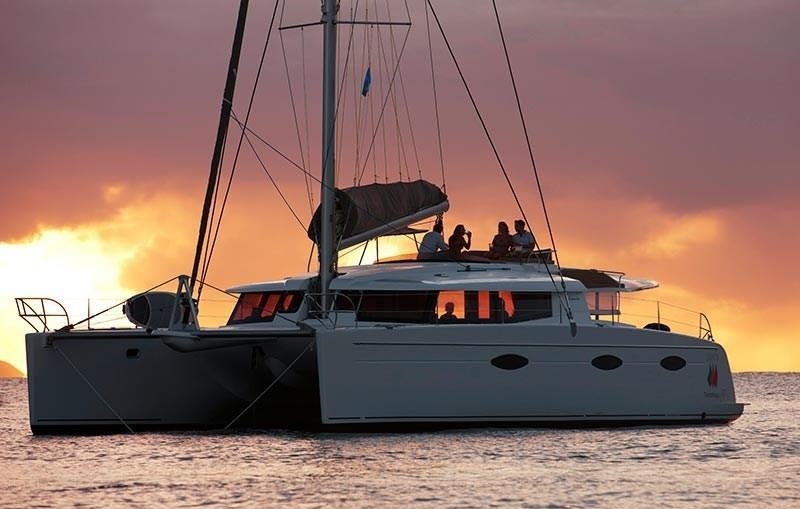 The FLOW catamaran can accommodate 10 charter guests, in 5 en-suite double cabins. 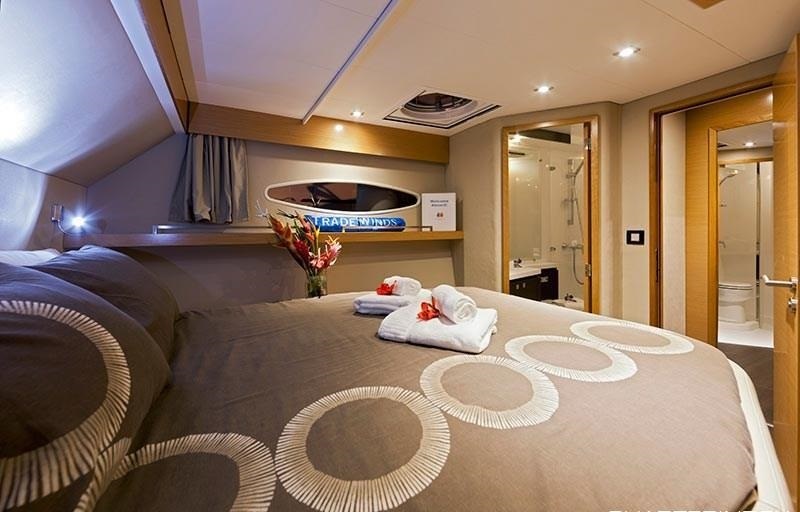 Each cabin boasts a queen size bed, full air conditioning and private en-suite facilities, with shower and electric head. 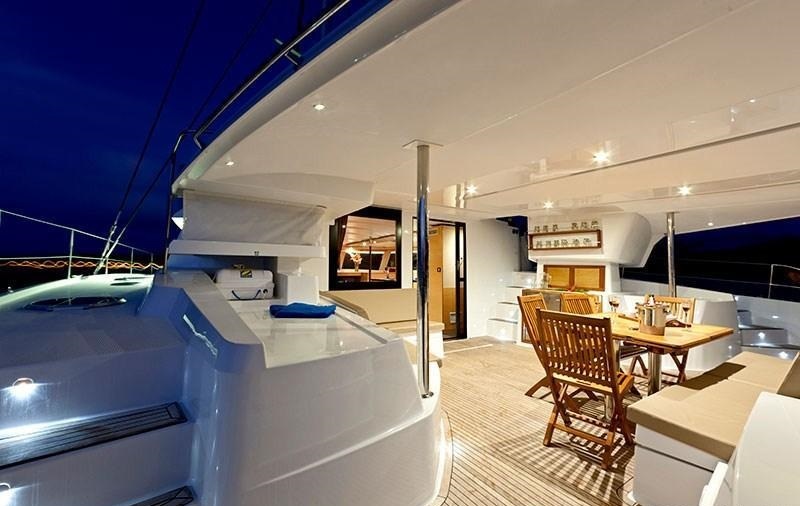 Plenty of overhead hatches and side ports ensure ample natural light. 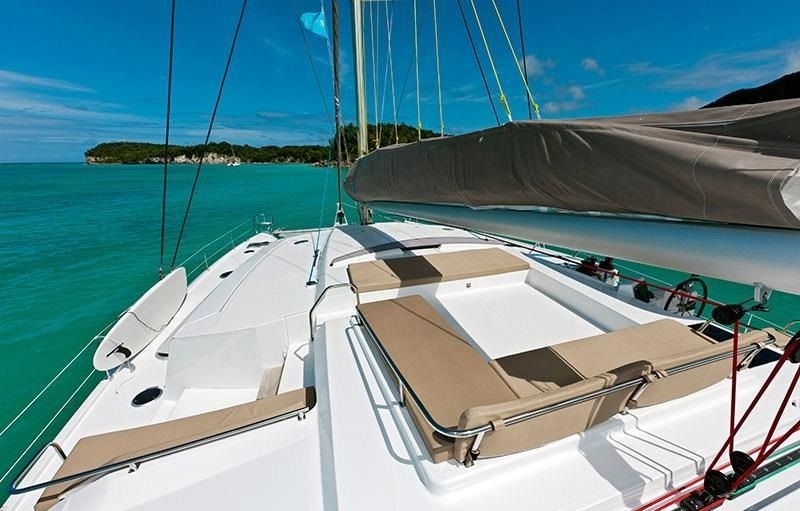 The FLOW cat has a Center console tender with 30hp engine, Fishing equipment, Towing ring, Paddleboard, Board Games, Scuba Equipment, Kneeboard, Swim platform, Deck shower, CD library, DVD library, Stereo system, Hammocks, IPod Dock, DVD player, Media Hard Drive, Barbeque, Cell phone, Wi-Fi and Internet, Diving lights, 10 scuba tanks, Snorkeling gear, Underwater camera – Still.